… the blackheads, clogged pores, dead skin, and imperfections for that sensation you crave! 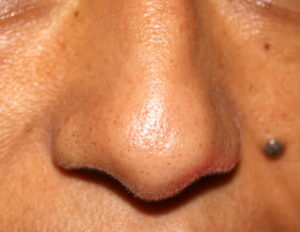 This product is a must have as it safely removes blackheads without the risk of breaking blood vessels. No more squeezing or painful tools, just apply this wonderful product to your desired area, and put the cloth on top. Next, press firmly and leave on for fifteen minutes. 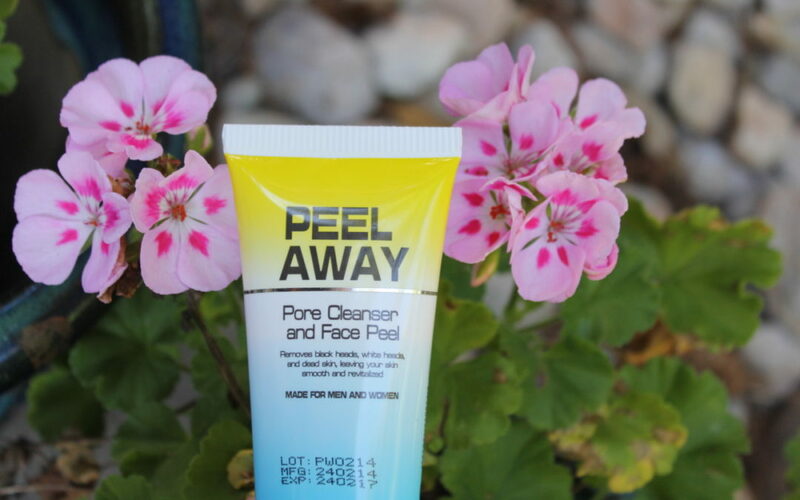 As its name suggests, peel it away and VIOLA, flawless skin at last! As a licensed esthetician and a certified makeup artist, Peel Away definitely gets 2 thumbs up from me. Having first come across this product at the International Beauty Show, I knew that it was professional-quality and if it did all it claimed that I had to give it a shot. A well worthwhile one might I add. As an esthetician, clients look to you to see that flawless, clean-looking skin. This product gives me the confidence to show them my natural face with no makeup. And after using this on clients’ skin, they are radiant and asking what’s the secret. Well here it is, a simple mini mask using Peel Away whenever I see those pores starting to clog. Thank you Evalash for creating a product so reliable and so effective. I strongly recommend this little tube of magic to anyone who struggles with their pores or with stubborn blackheads. It truly is as easy as 1, 2, 3 and the greatest part is it works AND is affordable (Hooray!). Buy it today and be flawless tomorrow! Note: This post is not sponsored. All thoughts are unbiased and my own.